The Deanship of Student Affairs at Al Falah University organized an open day to provide health services for students, faculty and administrative staff members in order to raise health awareness in cooperation with Al Rashidiya Medical Center. 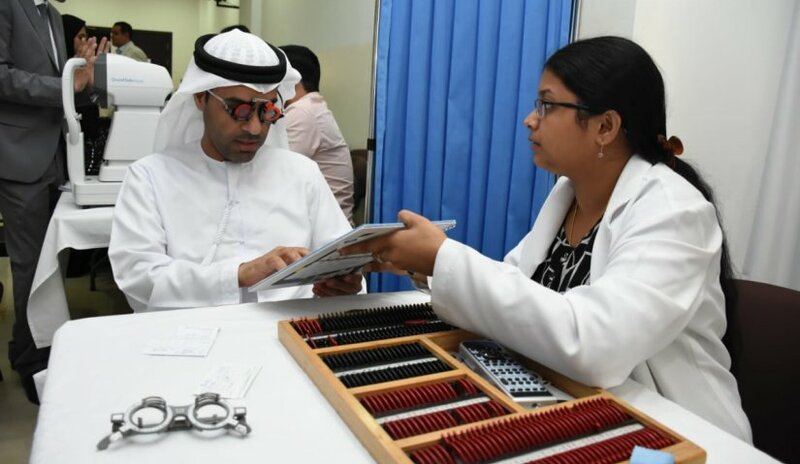 Medical professionals from Al Rashidiya Medical Center conducted eye examinations, checking of blood pressure and cholesterol level, hair and skin tests with free samples, giveaways and discounted eye frames and lenses. The event is part of a series of activities organized by AFU to educate the students and staff on the importance of early detection of health problems making sickness and diseases easier to treat and prevent.